With a wealth of direct flights from major American hubs, Costa Rica has always been an attractive destination for travelers as much for its geographic diversity—beaches, volcanoes, and rainforests—as for its tropical vibe and comparative affordability. A destination with plentiful surprises at every turn. I had to check it off my list. 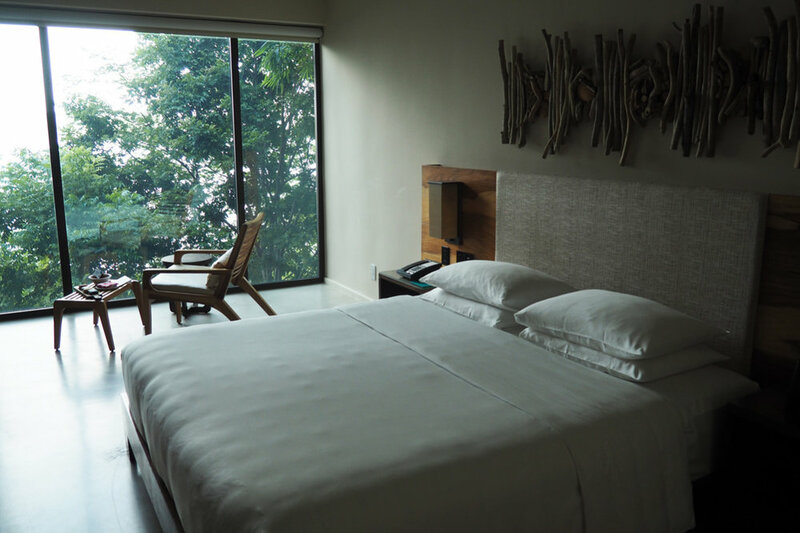 The Andaz property (in the exclusive Papagayo Peninsula) feels like an organic reflection of its surroundings with its earthy wooden touches, its wide open spaces and its tranquil nooks and crannies that let you take in the beauty of the Bay of Culebra. Above all, the property boasts a sense of place, with notable décor, amenities and of course, standout dining options. After a day or two, the country’s “Pura Vida” catchphrase (which means “chill out”) becomes second nature. Rooms are spacious and airy without incomprehensible design features hijacking the comfort of the space. Trying to unplug while on vacation is hardly a novel aspiration, but let’s face it, Facebook needs a break. Cocktail culture has hit Andaz Papagayo thanks to a new breed of mixologists obsessed with crafting cocktails. I took the class and learned a unique take on a whiskey mule. The eucalyptus-scented spa uses organic ingredients like guava, volcanic clay, and purple corn for reenergizing facials. And if that’s not enough to make you put down your device then check out the open air massage tables with ocean views. That’ll do it. It’s impossible to dissect horse riding away from Costa Rica so the crew and I took the Borinquen Adventure which is an exciting combination of horseback riding, zip lining and soaking in hot springs. The tour begins with a horseback rides that take you up the mountains and through the plains. 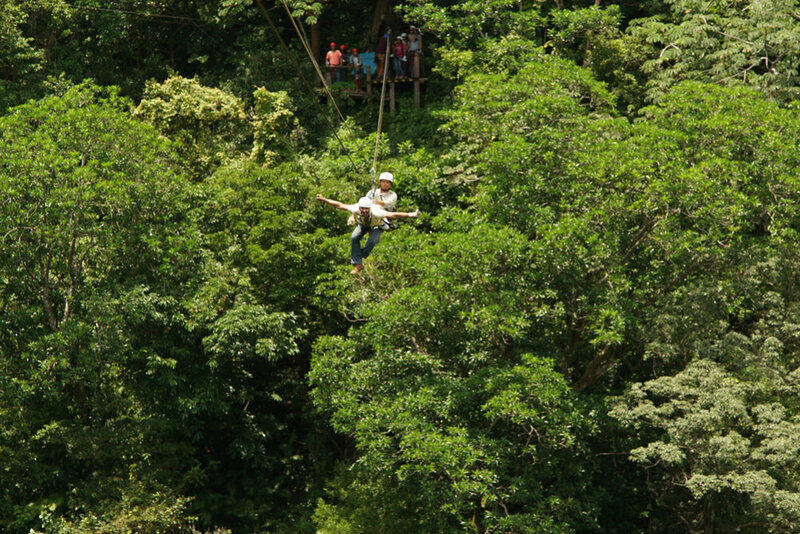 Following the horseback ride, we geared up and prepared for a canopy tour which had me flying high through the treetops and zipping across canyons…ten times! At one point we crossed paths with a large beautiful waterfall. It’s one of the most exhilarating things I’ve ever done and another bucket-list item checked off. The final activity is undoubtedly the most relaxing. We finished the journey with mud baths and soaking in geothermal hot springs surrounded by the sights and sounds of Costa Rica’s wilderness. It made all the tension melt right away. You could be in Costa Rica for years and never do it all, thanks largely to the country’s dynamic and varied landscape. So, get out and explore. The private beaches at the resort and the breathtaking sunrises made it easier than ever to clear my mind and let mother nature be my meditation instructor. FourTwoNine Magazine enlisted myself and three other Southern California-based style bloggers to visit Costa Rica for one hell of a weekend. Through our unique lenses, we captured a once in a lifetime experience in one of the best destinations on earth. The other bloggers were Tommy Lei (@mybelonging), Ann Kim (@andyheart) and Courtney Halverson (@prettylittlefawn). Check them out, they’re all amazing. Have I convinced you to plan a trip? The world is getting smaller, but the chances of having an extraordinary new experience are only increasing. Go ahead and embrace the long-lost art of spontaneity and find yourself indulging in the many things Costa Rica has to offer. Pura vida! Check out the Travel section for more inspiring ideas.